Please read this post before contacting. Good job sheo. Need more people like you around. Thanks Shiv, we need much more people like you too ! You may join this group http://groups.yahoo.com/group/fukuoka_farming/, there is a lot of discussion around Natural Farming here that will benefit you. Thanks Sheo Narayan, Your Story has definately inspired me.. Your work is much more inspiring than me, keep it up and let me know if I can assist you. May I know what is the cost of Land near your Farm. I am following your site from few days , I am really happy to see the Green work you are doing. One suggestion : The video which you taken on 24th November is bit shaky and disturbing. I know you wanted us to see the latest update and show full farm , if you don't mind can you move your camera bit slowly so that it will be really good video. Though the contents of the video is full of information and beautiful. Thanks Prakash for the suggestion. I myself sometimes feel that. All the video and photo taken here is from my mobile (E72) 5 pixel so even the quality is also not that great this might also add to the bad quality of the video. Would surely try to work on your suggestions next time and acquire new camera for better quality. Thanks and keep following and suggesting. I have one suggestion , Can you put some tree fruit plants which gives shades ( e.g Tamarind plant or Mango or Jackfruit) on all 4 corner of your water pond . In two years of time once these tree matures , the pond will get shade in summer and you will have very less evaporation of water. Thanks much for the suggestions. Indeed its great suggestions and I have planted some trees around. One neem tree is coming on its own too. Coming season I will have more trees around. Keep comments and suggestions flowing in. Nice that I came accross this awasome website. I have also entered into an agreement to buy 2 Acre Farm land in Medak district recently. Though, initiall I had the intention of investing on agri. land for investment purpose. However, after visiting your side, my whole approach has changed and may be I may venture into organic farming. The land which I propose to buy (initial advance paid) does not have a bore or electricity either. Your site has given details of bore but you have not mentioned about electricity connection. Please give me details of how to get electricity connection (cost etc.). I have already completed barbed wire fencing and need to get it measured before finally going for registration. Also, myself and one of my collegue would like to visit your organic farm and congratulate you for your success and for more live updates. Please mail me the complete route address to reach your farm without any hassles. no updates from last one month?? You are more than welcome, please contact me over phone at 77025-60638. Colud u pls share ur contact no pls ,I tried to reach u on 77025-60638. Thanks, you can talk with me over phone or visit the farm as well. Do you have any organic fruit (like orange , papaya, watermelon, sapota, grapes ) and vegetables. If so, we are few families residing at Hyderabad would like to buy them on regular basis. Yes, we have vegetables. Looks like you forgot to mention the contact number. Ours is +91-77025-60638. I am very happy to see your website and galore of information you have posted, I have been thinking in similar lines. I appreciate you doing natural farming and sharing that information with others. You are doing a great work and I wish you success. hope to visit your farm soon. I think all folks with similar ideas should get together and build something even bigger and better.I currently in US and planning to move to India soon. very inspirative ur story, my father is also a former,he is also farming land in 50 acres in guntur area which is red chillies .Now i have a small doubt is this organic farming is replacing ur monthly income reallly.Plz dont mind to ask this because i am also want to build my career in organic farming. Hi Sheo.. good stuff. i want to get started with something similar. But very confused with what comes first. buy a land and then figure out what you can do there, or you got to know what farming you want to do then buy land accordingly. I am a total novice, not sure what kind of agriculture farming i want to do. You have any suggestions. Can i call you over this weekend ? Can you post the pdf of the rule regarding the fsi for a farm land in A.P. This way we can know how big a cottage can be constructed in one acre. Hey, Great effort. How are your outputs from the farm and how are you able to sell them ? I really suggest you look at how CSA (Community Supported Agriculture) works in the US. A few families will tie up with you and place orders on whenever you harvest your produce and will come and pick it up from your farm itself. I think this assures you customers. If I was in Hyderabad, I would definitely do it. Makes for a good weekend drive too. Sheo - Nice and inspiring is your work. In fact, I had seen your site sometime ago and thought to contact/visit your site, somehow could not. Of late, I have seen on farming fundas.com site that you sell the lemon grass leaf/root etc. Looks it is costly. Though I can not right now write in details due to constraints on my time to spare in writing, one sussestion is this type of farming needs to be done with philonthropic approach, the moment it is made commericial (too much), then this does not sustain. We need to avoid retailers entering into the business nor we should turn ourselves retailers trying to sell for higher prices. In fact the produce needs to be sold for pricess less than that of chemically grown product per same unit of measure. This is so as the cost of production is much cheaper as asserted by Palekar ji. hello, Can someone help? I am looking for training in water well/borewell drilling. Hello Mr.sheo, in this summer i m looking for organic/naturally grown mangoes to eat. but unable to find. can you let us know where we can get naturally grown mangoes in hyderabad. i stay near koti, hyderabad. Can hard water be used to cultivate coconut. Hard water is better for coconut, that is why coconut comes well near sea area. 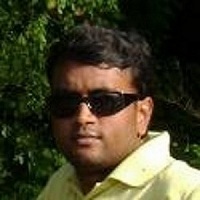 hi narayan ji i am ex banker and interested in farming . recently i have taken 5 acres of land near manoharabad rly station, in medak district. Can you guide and suggest me to which crop i should go for. Hi Narayan, I would like to do organic/natural farming. Can I have your number if you don't mind.